Comfort food… omonomonmom Let your imagination and creativity go wild. 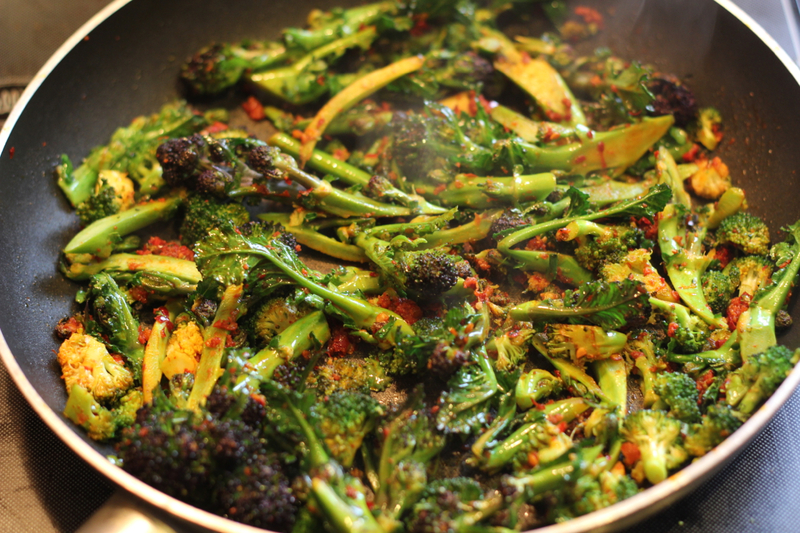 Simmer purple sprouting broccoli with about 100 grams of Ndujo for 15-20 minutes. Add salt, pepper, garlic, chili and bit of water so that you get a bit of sauce in which the broccoli can soften. Serve with warm baguette slices. Perfect for a chilly evening!